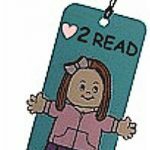 Make reading even more fun with your own Snowman Bookmark! The kids will have fun making this bookmark and also take pride in using it as their read their favorite books. Measure and cut a 2” x 5” rectangle from white paper for snowman. Cut a 2” circle and a 3/8” x 2-1/2” rectangle from bright blue paper for hat and hat brim. Cut a ½” x 3” rectangle and a ½” x 1” rectangle from red or green paper for scarf (Snip ends for fringe). Using a black marker, detail edges of hat and scarf pieces. Using the ¼” hand punch, punch a circle from orange paper for nose. Using the 1/8” hand punch, punch 7 circles from black paper for eyes and mouth. Punch 3 hearts from hot pink paper. Referring to photo, glue hat, hat brim, scarf, eyes, nose, and mouth on the 2” x 5” white rectangle. Glue 2 heart shapes on either side of mouth. Let dry. Measure and cut a 2” x 1-1/4” rectangle from light purple paper. Using the 3-in-1 corner punch, punch a snowflake out of each corner. Glue the rectangle to the lower center of the bookmark as pictured. Write the words “I” and “Snow” on the rectangle as pictured. Glue the remaining heart between the two words. Punch a hole in the center top of the hat, using the 1/8” circle hand punch. Put a small piece of tape around the ends of the white cord and twist into points. Thread cord through hole and knot to secure. Thread pony beads on end of cord. Knot ends to secure.